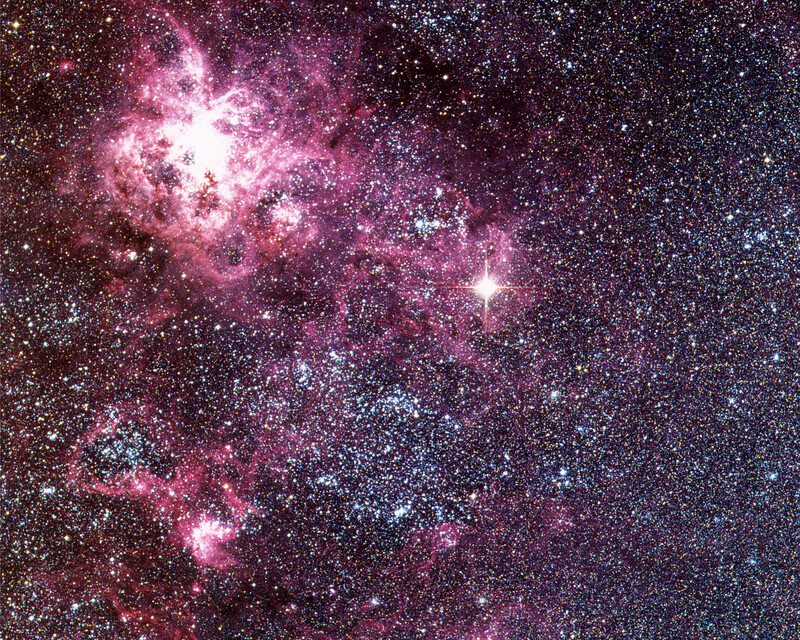 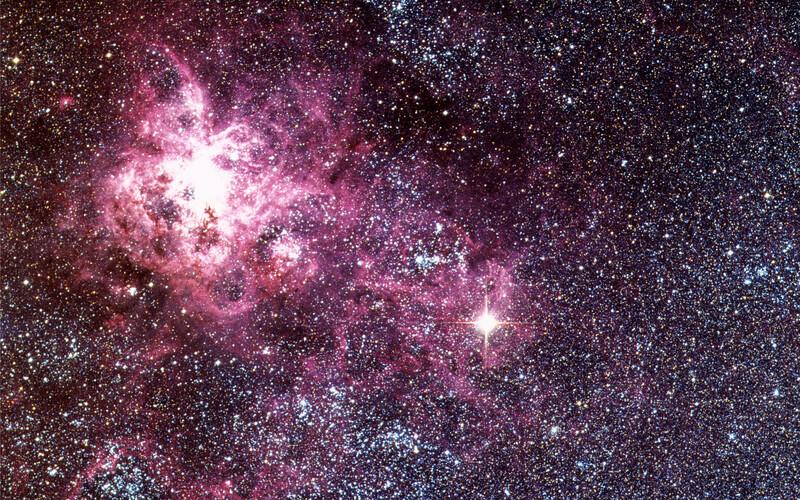 Image obtained with the ESO Schmidt Telescope of the Tarantula Nebula in the Large Magellanic Cloud. Supernova 1987A is clearly visible as the very bright star in the middle right. 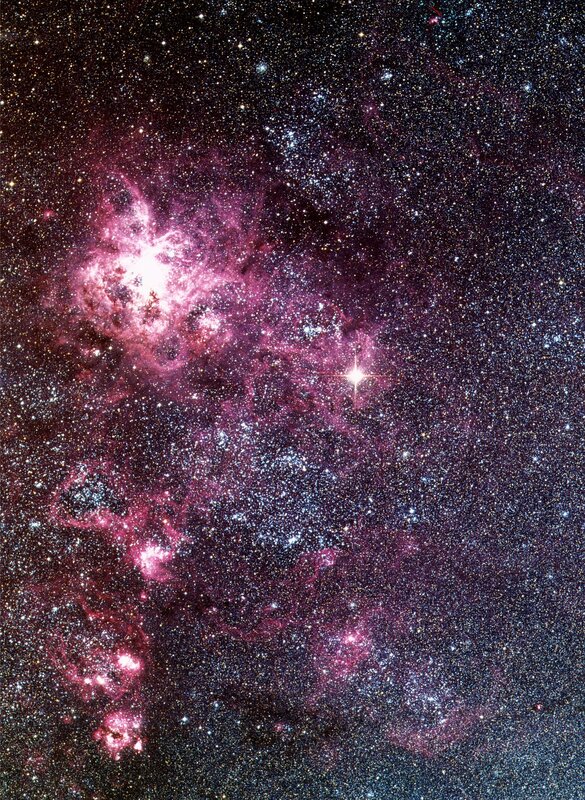 At the time of this image, the supernova was visible with the unaided eye.